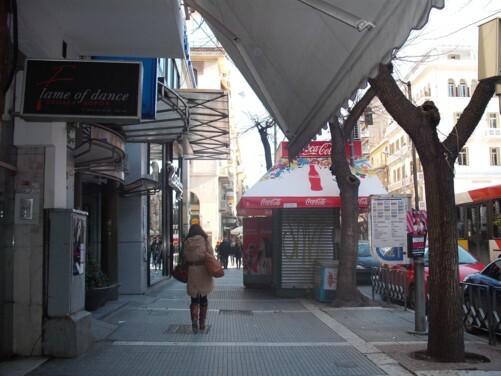 Thessaloniki, Greece’s second largest city, 15th January 2010. 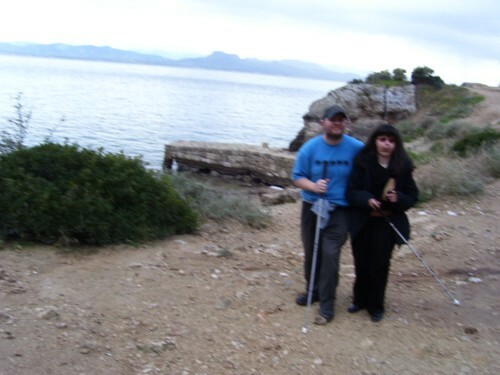 Tony and Tatiana on Panagitsa Beach, near Loutraki. 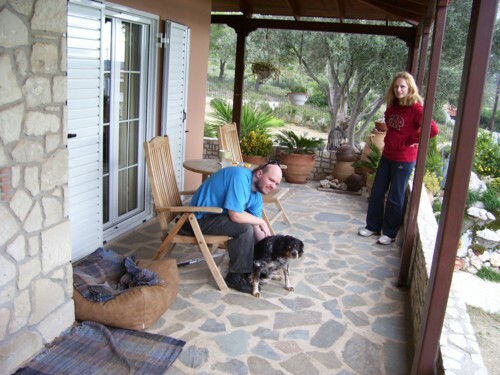 Tony and Tatiana outside popular health spa, in Loutraki. Tony and Tatiana amongst trees in grounds below theatre. 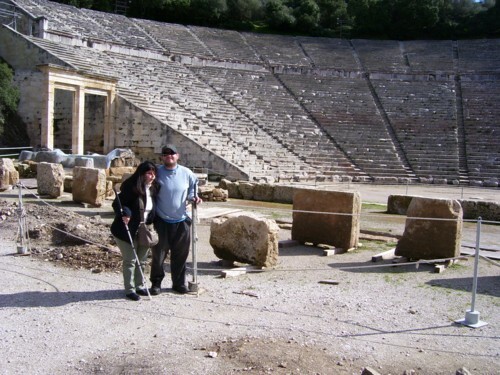 Tony and Tatiana at Epidaurus theatre. 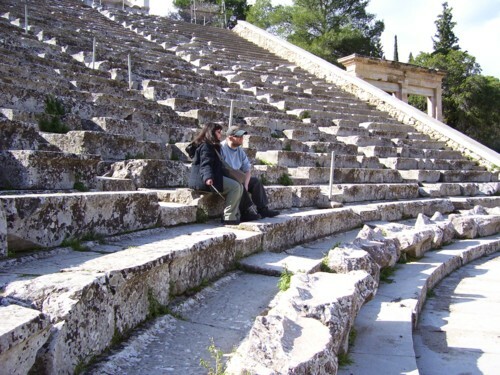 Tony and Tatiana on lower seats in Theatre. Tony and Tatiana in the wings of Theatre. 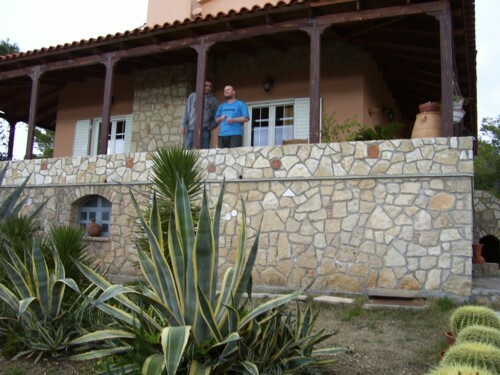 Tony and Tatiana by carved figure in wall. 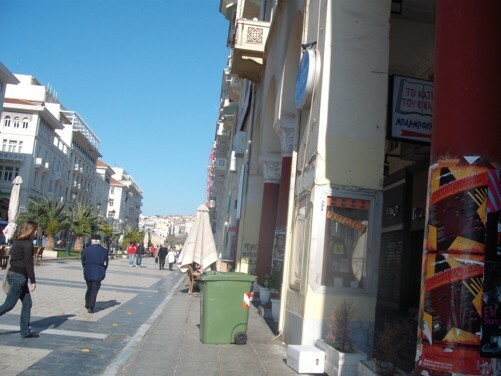 Nafplio, town in Southern Greece. 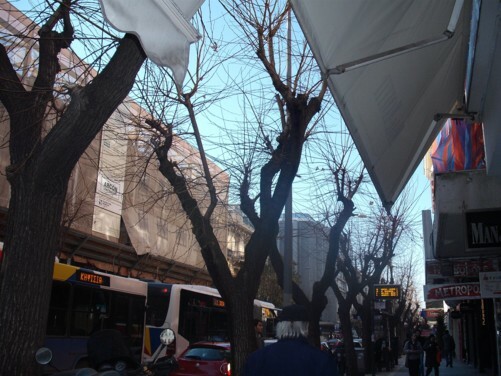 First capital of Modern Greece. Saturday, 30th January. 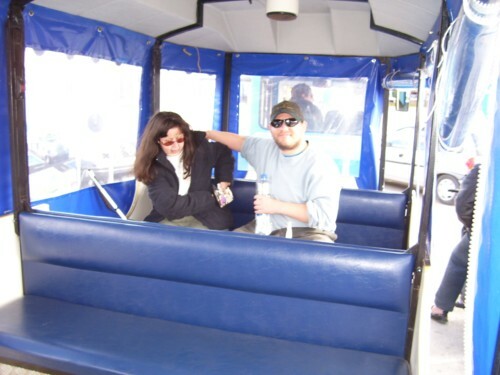 Tony and Tatiana in tour train. Tony and Tatiana with harbour. 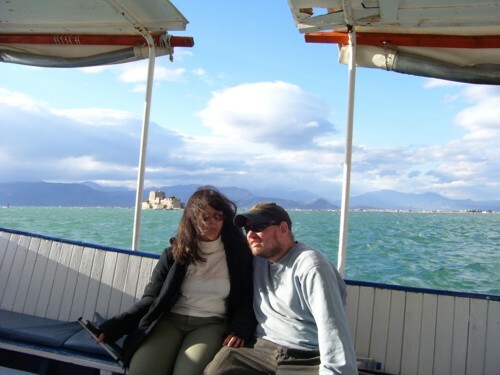 Tony and Tatiana on small motor boat at sea! 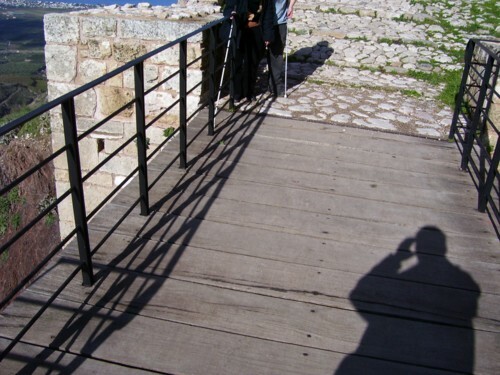 Tony and Tatiana on top of Bourtzi Tower. 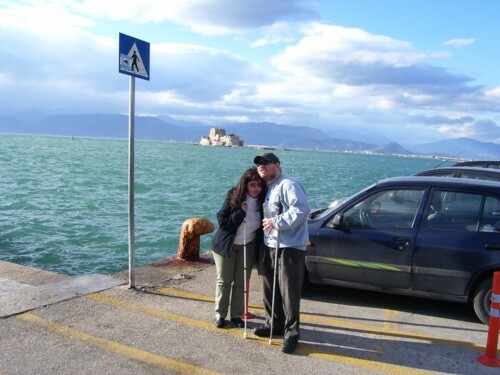 Tony and Tatiana with Bourtzi tower in background. 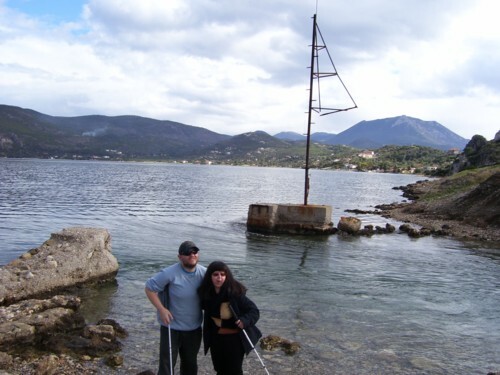 Tony and Tatiana next to Cannon Ball on jetty by Bourtzi Tower. 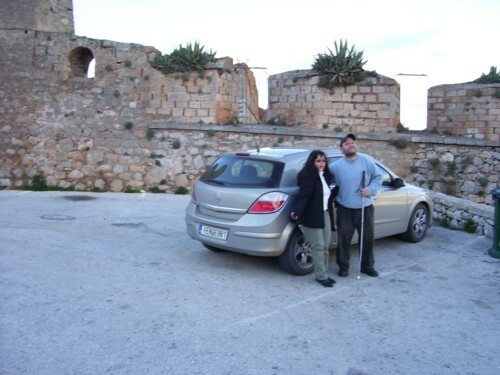 Tony and Tatiana high up in front of Palamidi castle. 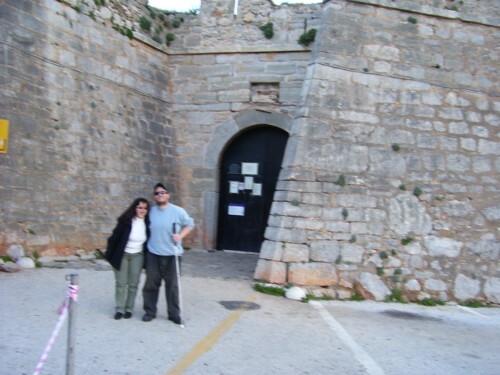 Tony and Tatiana stood at gate to castle. 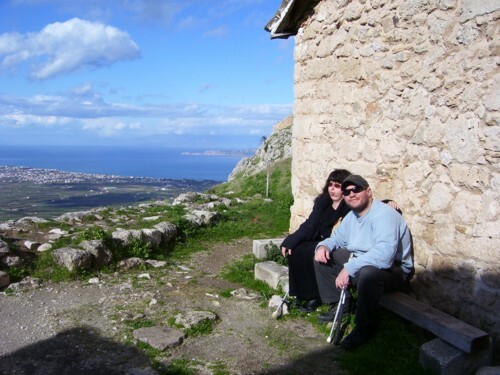 Tony and Tatiana high up with view of Nafplio City in background. 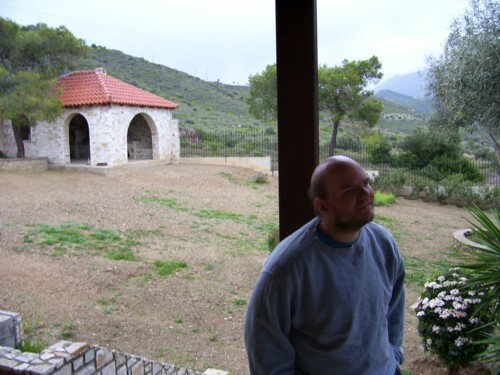 Tony outside Tatiana’s parents home in Skaloma near Loutraki, Southern Greece. 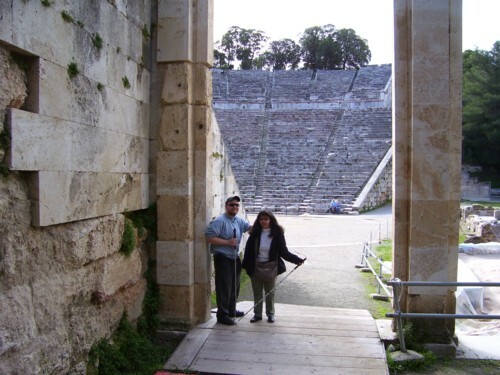 Tony and Tatiana in ruins of Temple of Heraeon. 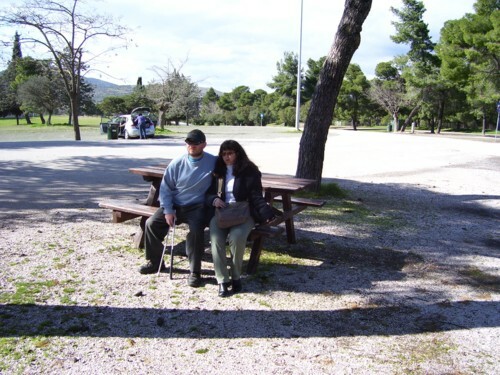 Tony and Tatiana by Lake Heraeon. 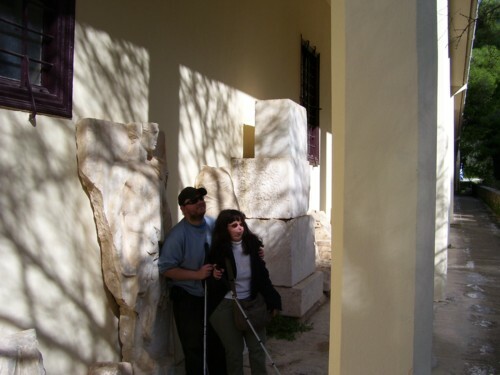 Tony and Tatiana by stone pillar remains of temple of Heraeon. 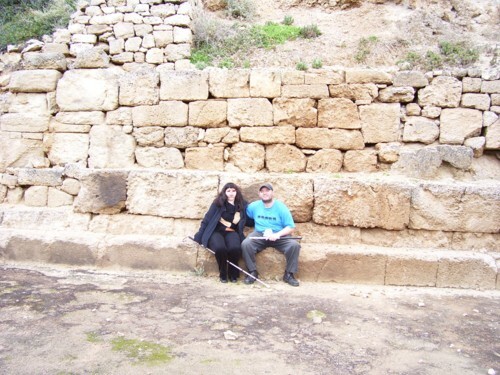 Tony and Tatiana by large rock in Temple of Heraeon. 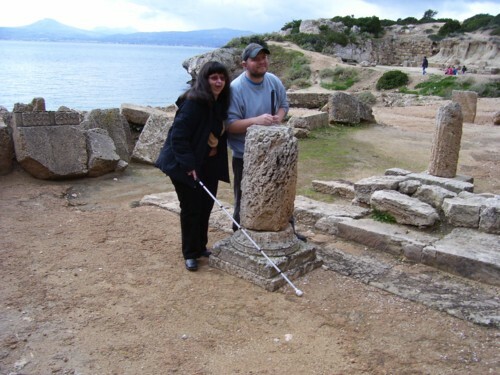 Tony and Tatiana in Heraeon Temple with Golf of Korinth in background. 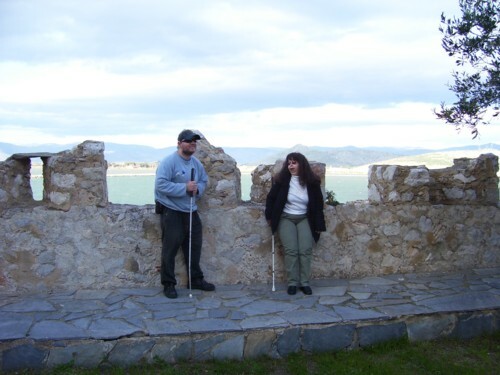 Tony and Tatiana at Castle of Ancient Korinth, in Southern Greece. 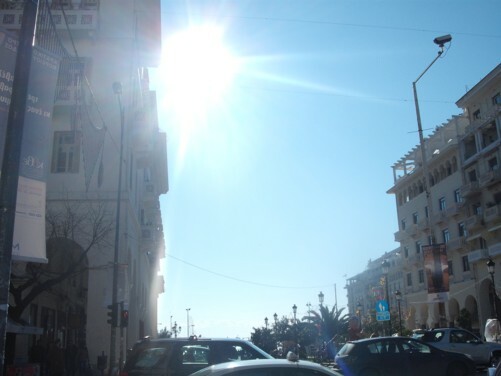 Sunday 31st January. 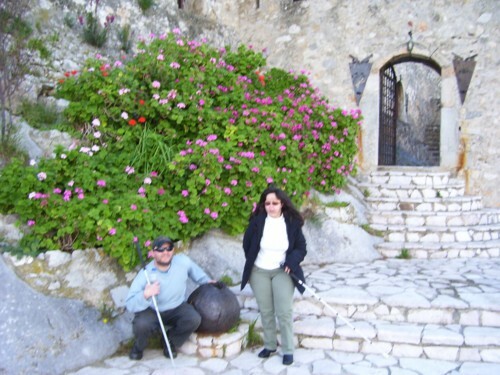 Tony and Tatiana in front of Korinth Castle Gateway. 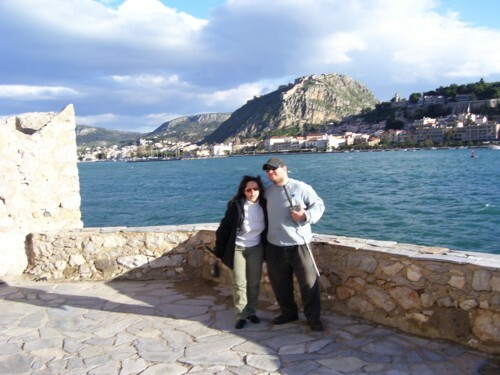 Tony and Tatiana on bridge in front of Korinth Castle with view of modern Korinth in background.